The Stinging Nettle – a beautiful plant with an attitude! 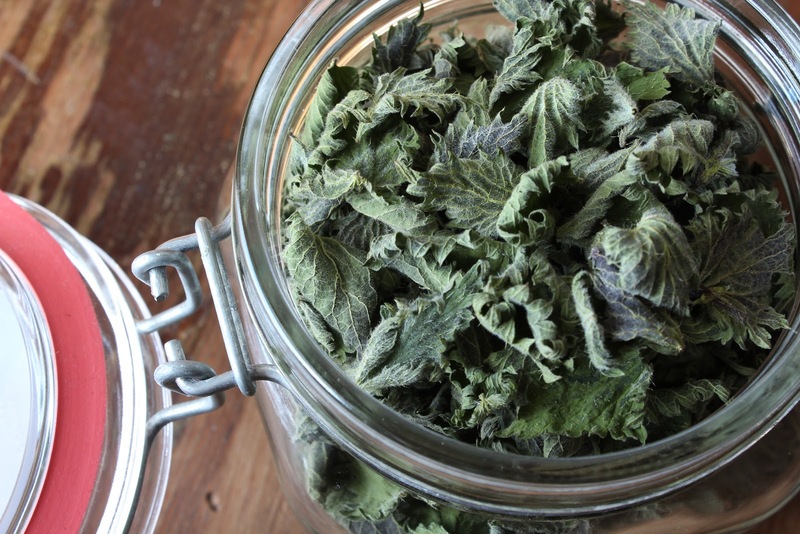 A harbinger of Spring, the Stinging Nettle has long been used as a food and medicinal plant. Yes, they do sting, but it is not that bad. I accidentally discovered them in my garden about a week ago when planting some garlic bulbs (see my prior article about using sprouted garlic). I was pushing some new growth back to clear a small patch of soil when I felt a sharp pain on the back of my hand. It felt like a fire ant sting, which I have had plenty of experience with growing up in south Florida. But there was no insect on my hand. I looked around and found a tiny Stinging Nettle plant a few inches tall. This meant two things… First, I needed to get some gloves. Second, it was foraging time! I did a quick search around my neighborhood and discovered a large patch in my neighbor’s yard. I harvested a large bag full and took them home. My neighbor was happy to have me cut some of his “weeds” back. He was a bit skeptical about their being edible. I explained that the “sting” is neutralized within about 30 seconds when exposed to heat. I also showed him how you can even eat them raw, if done the right way, but he wasn’t about to try it. I took my new picked treasure home and made some Stinging Nettle and Pork Belly soup with a homemade duck stock… delicious! That same neighbor came over and tentatively tasted the soup, then proceeded to devour it, raving about how good it was. Another convert! Now, most people would not plant these on purpose, but they often will pop up in yards, typically in rich, moist soils. If you have a larger property, you can “cultivate” them in an out of the way corner. If you have some real land, then you likely already have them growing somewhere. It is just a matter of locating them. This is when I would consider Nature Tending. 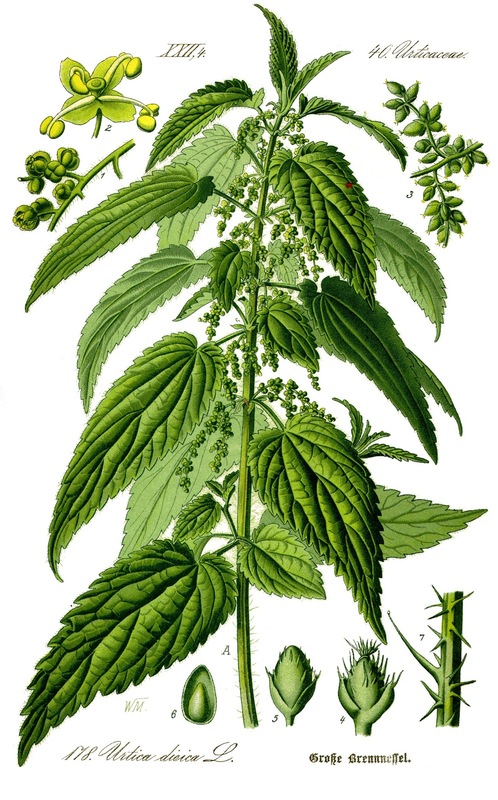 Stinging Nettle can be eaten, used for tea, used medicinally, and used to make a fiber similar to linen. They are also attractors of beneficial insects. The plants accumulate large amounts of nutrients, and if composted can be a valuable fertilizer to your garden. These are resilient and useful plants that have a poor disposition, but are worth the trouble in my opinion. Native to the Northern Hemisphere, Stinging Nettle has long been used for medicine and food. It has been introduced around the world, and is now seen more as a weed than a beneficial plant. 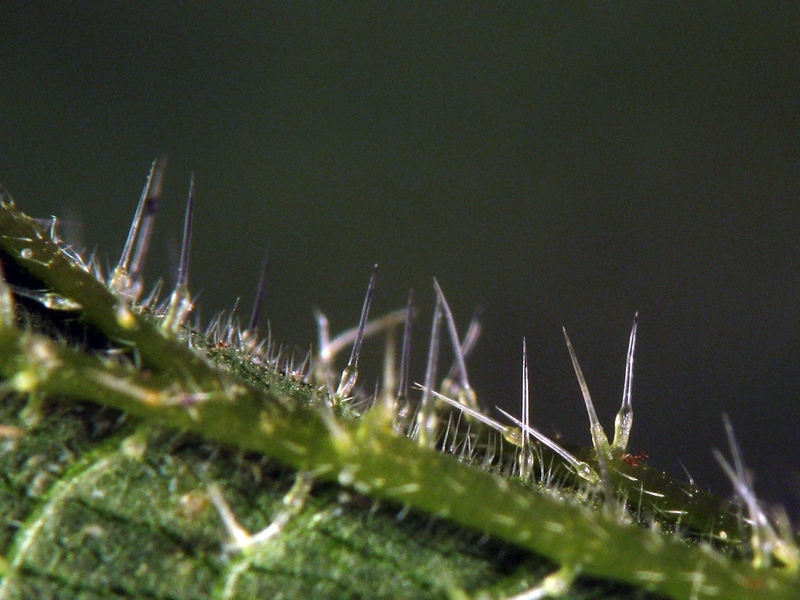 The sting from Stinging Nettles comes from their stinging hairs, called trichomes. 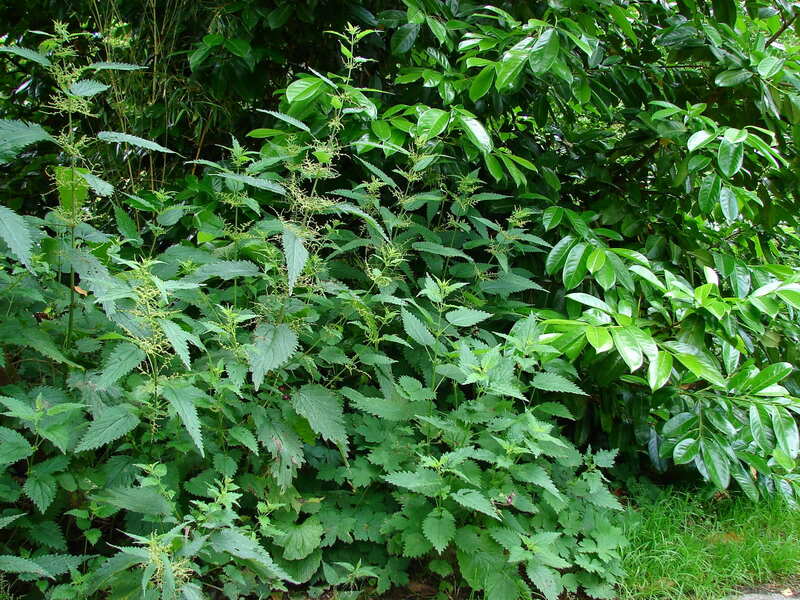 Stinging Nettles are covered with hairs, but not many are actually the stinging hairs. These stinging hairs are on the underside of the leaves and on the stems. When touched, the tip of the hair is displaced, and what is left resembles a hypodermic needle. This needle will inject chemicals that cause itching, irritation, and pain. Stinging Nettles inject histamine, acetylcholine, serotonin, morodin, leukotrienes, and formic acid (formic acid give fire ants their “fire”). Stinging Nettle leaves can be eaten raw… just hold the leaf only on the top side, fold it over on itself to cover the stinging hairs on the underside of the leaf, roll it up, squeeze it a bit to make sure the stinging hairs are all crushed, then take a bite. Yes, I have done this. No, I did not get stung. Yes, it tastes good! There are many species in the genus Urtica that are likely all edible, but check with local experts before you start foraging for other species. 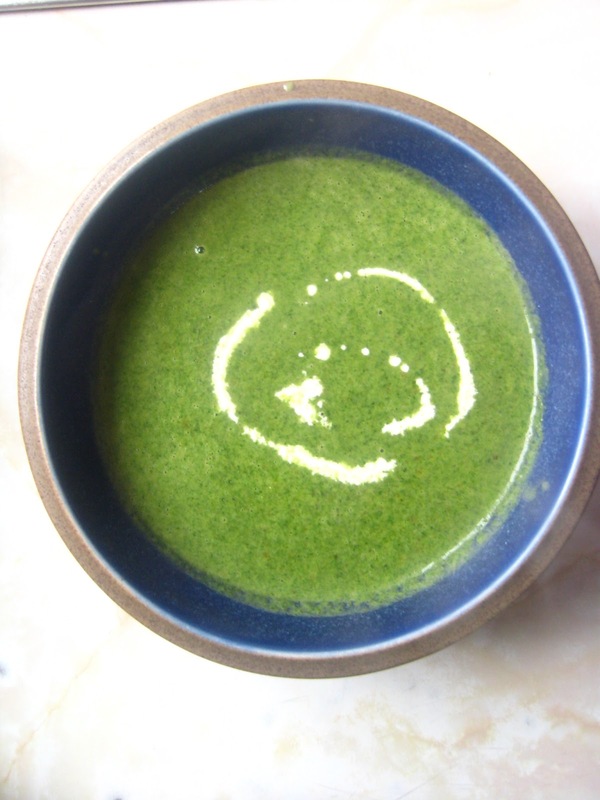 Stinging Nettle Soup is delicious! Here is a link to one recipe… I’ll share mine soon. 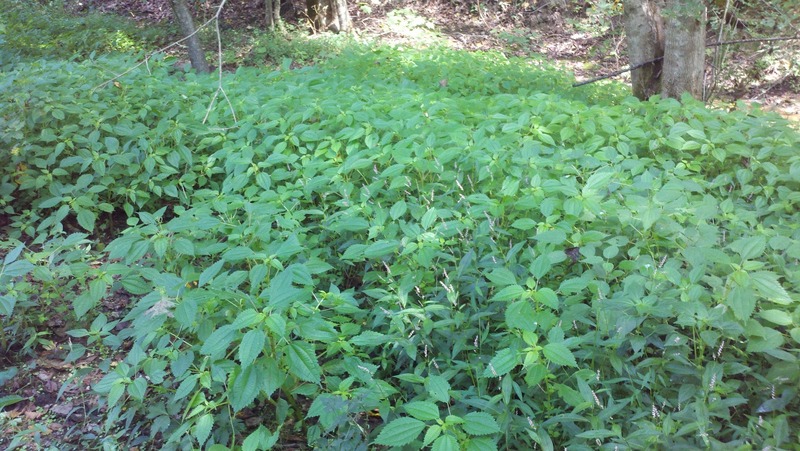 Stinging Nettle leaves dry very well… and the sting is gone! Harvesting: Spring. Leaves are best when the plant is less than 3 feet tall, before flowering has occurred. Ideal is when they are under a foot tall. Use gloves to avoid the stinging hairs on the underside of the leaves and stems. Storage: Can be dried and used as needed. Many people will just keep the fresh leaves in a brown paper bag, shaking occasionally, until dried. AHS Heat Zone: No reliable information available. Chill Requirement: No reliable information available. Pollination: Plants are dioecious, meaning they have either male or female flowers (hence the scientific name: dioica). Both male and female plants (typically a 1:8 ratio) are needed to produce seeds. No reliable information available, but not really needed. These plants spread so easily with runners and seed, that as soon as one plant dies, another will take its place. …but also tricky to eradicate. The flowers of the Stinging Nettle are tiny, but develop many seeds. Tolerates juglone (natural growth inhibitor produced by Black Walnut and its relatives). Consider using this tree as a buffer between your walnuts and other plantings. Propagation: Few people propagate this plant on purpose, but transplanting young plants from stolons or rhizomes is easy. Seeds easily – just rub the mature seed heads, releasing the seeds, over where you want the Stinging Nettle to grow. Cut off the flowering heads to reduce seed production – typically done in late Summer when the plants are tall. A scythe is a great tool for this job. At least once a season, and maybe a few times, pull up any plant that is growing outside of where you want the Stinging Nettles to grow. 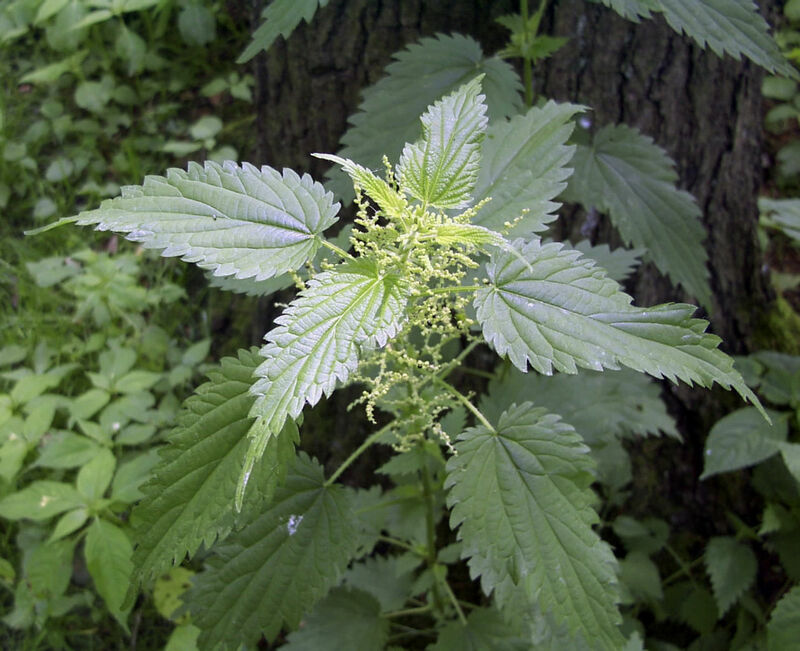 Stinging Nettle can spread fast through runners and easily through seed. 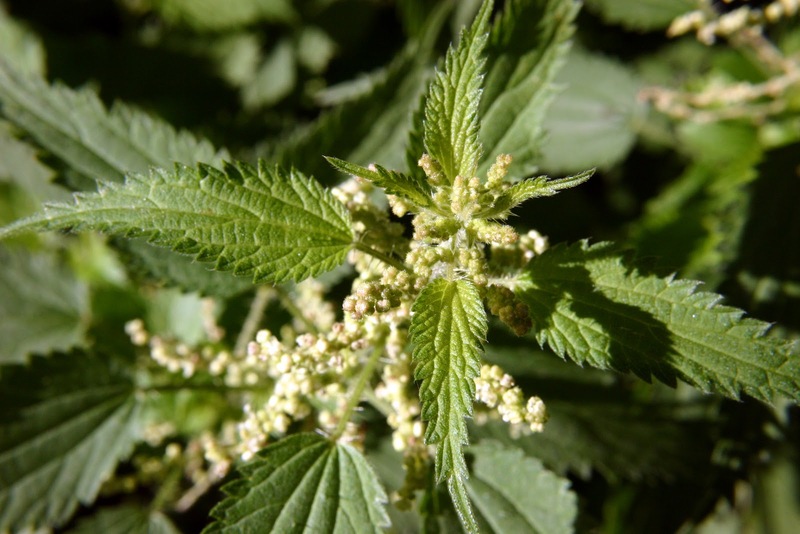 Stinging Nettle can… well, sting! Some people have a very small reaction, and others will have a more significant local reaction. Older leaves contain cystoliths which can irritate the kidneys – another reason to use just the tender, young leaves which taste better anyway!